Safety Crimes you should never commit. Last night I tuned in to Channel 7’s House Rules, just in time to see the judges harshly scolding Victorian contestants Adam and Lisa over a major safety breach in a children’s bedroom. A sharp-edged shelf, an electricity outlet and a lamp – over the foot end of a child’s bed. Lisa copped the criticism right on the chin (what a good sport), admitting that since she hasn’t any kids yet, she sometimes doesn’t think of these things. Aside from the major safety felony there were two other minor infringements: two monkey rings suspended above the top bunk for kids to swing on (hello, any other mothers of boys, or active girls, with me? ), and the soft flooring which was raised about an inch and concealed under a rug (big tripping hazard). I’m not trying to criticise the couple, rather sympathise with them. I’ve made a few fails of my own before having children. Me, a first year Grade One teacher, Sunday night, making weekly batch of playdough. Brainwave strikes! 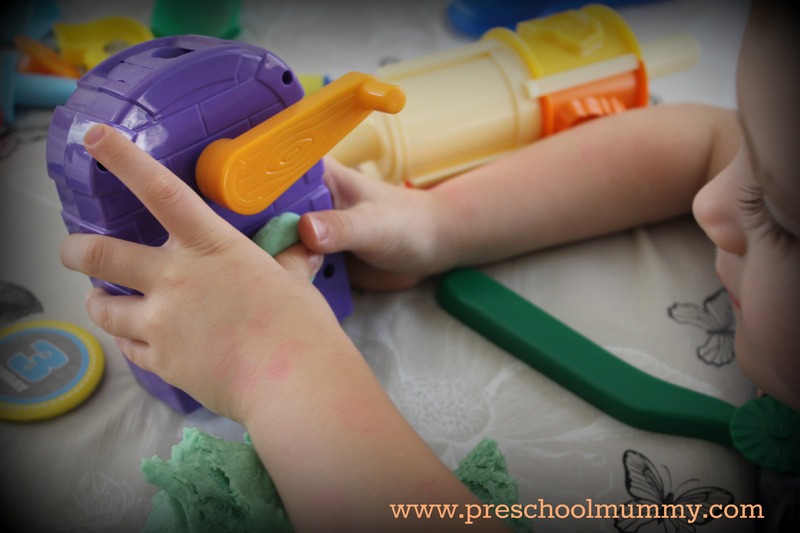 Add vanilla essence to the playdough so that the children have a pleasantly scented game. Turns out that was not a brainwave. It was a brain fart. Classroom, Monday morning, literacy rotations are in full swing, parent helpers scattered around the room. I’m busily facilitating Guided Reading while scanning the room intermittently. Things are seemingly great. Until parent notifies me that children can’t resist delicious smelling playdough and have eaten half the batch. And never there will be a more bland batch of playdough than this! Previous Post Circus activities for little kids! Gracious is the perfect word! Even though they made a boo-boo, I still really love this couple and hope they have success in future rooms! Gosh this is funny, thanks for the laugh. I don’t think the vanilla essence thing would have occurred to me either. Although I have just made special peanut butter flavoured edible play dough for bub because I just know that she will eat it. She’s at that stage that everything just has to go in the mouth! When I first started work as a nanny, I left the iron board and iron up (it was turned off) whilst I went to make a pot of tea. It seemed to make sense at the time but I guess I hadn’t factored that 4 year old boys running around would trip over the cord and bring it all crashing down on top of them! Wow peanut butter playdough sounds amazing!!! Great idea! 4 year old boys are very fast and prone to crashes 🙂 we all live and learn hey? It’s nice to be able to reflect!